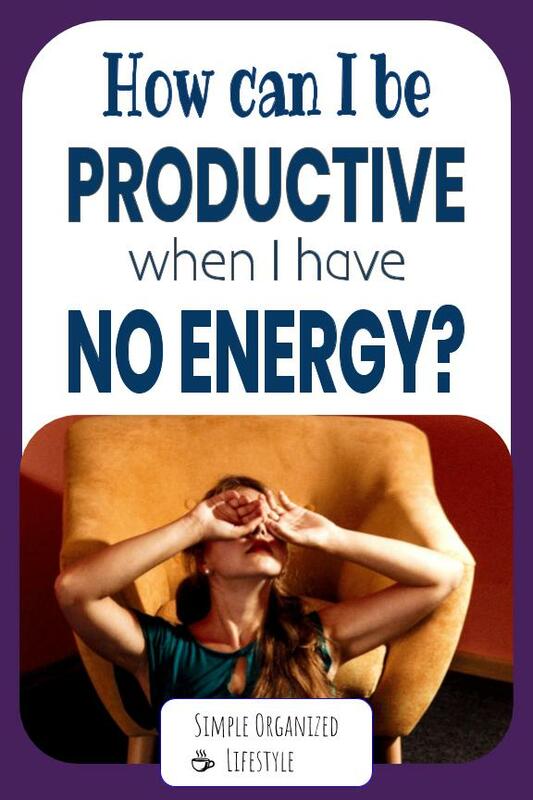 How can I be productive when I have no energy? Sometimes you just don’t feel like being productive. You have just enough energy to get through the work day and not much left. There are certain days, times, and seasons when you just don’t feel motivated. Cold weather, sickness, stress, and various other factors can zap energy. I know I’ve had times like this and it’s hard to find momentum and keep moving forward. Below are 10 ways to get a quick boost of energy when you’re feeling less productive than usual. I would never advise to “just do it all” on low fumes. 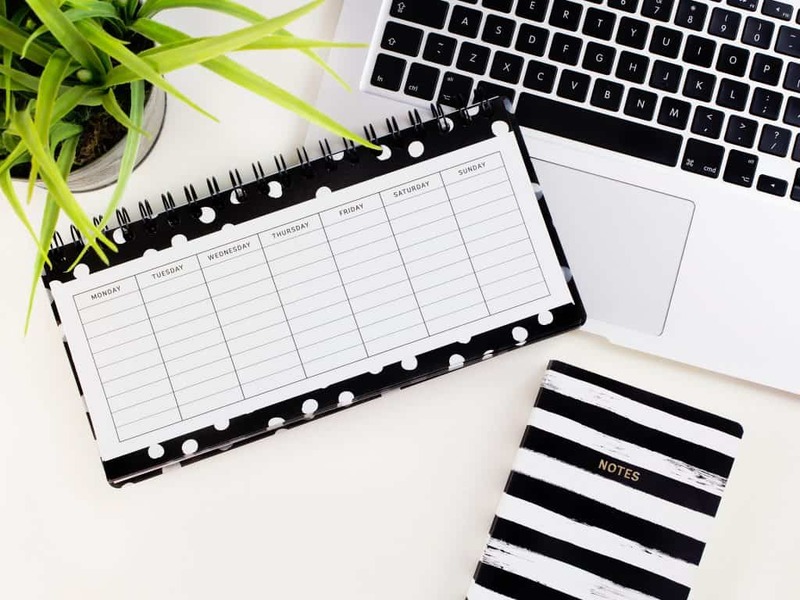 During these times, it’s okay to prioritize those to do list items that keep your home and life from getting too chaotic. For most of us with kids at home, that’s dishes, laundry and school/work essentials like lunches and paperwork. Keep the essentials going and let some of the other things go at times when it’s a struggle to stay afloat! I know… this is not likely the first thing on your list, but a brisk walk or a few minutes of exercise can give you a quick endurance boost. This doesn’t have to be a workout or long exercise routine. It could be as simple as parking a little further away than usual at work or taking the stairs instead of the elevator. When we exercise, our health improves and that in turn impacts our energy levels. 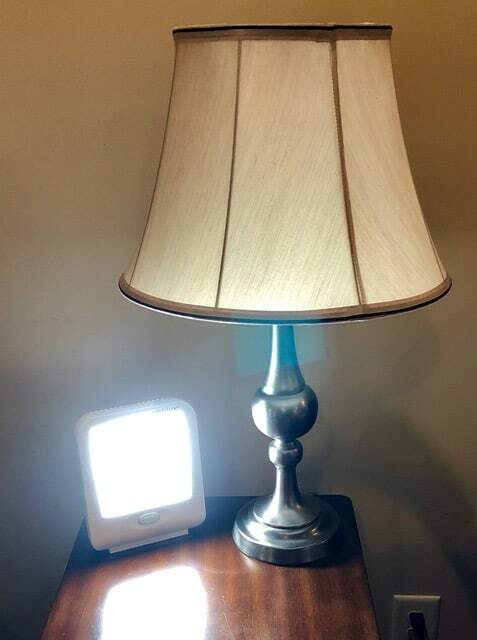 If you love being outdoors and get the “wintertime blues” when the days are shorter and colder, bring in some bright light! Getting outdoors and taking in some sunlight can be an instant mood boost, but it’s not always possible. A Happy Light helps to fight fatigue and improve your concentration. We’re still trying to figure out what area in our home works best for our happy light, but flipping the switch is like flipping our moods! Me, my child, our cat… we have all enjoyed this light when stuck indoors. It’s amazing what more natural light can do for attitude and energy. So, you need to clean the kitchen and I’m saying it’s okay to binge on season 3 of Friends on Netflix? Doing something we enjoy, even for a short time, puts us in a better frame of mind. “Me time” leads to a better me and a better you. A more positive mindset translates to more productivity. A good portion of this website exists to help you save money. But there are times in life when the money versus time leads to money well spent for time gained back. There are two months out of the year when my job requires extra hours just to keep up. During those two months, I hire help. A sweet lady gets paid for a job that supports her family and I get to spend more time with mine=win! My husband has asked for a birthday gift idea and more than once I have said “an extra Margarita” and it doesn’t refer to the drink. Coming home to a day when Margarita has stepped in and I get some more time to relax means so much more to me than flowers that wilt or jewelry that I would never wear. Is there a time or season in your life when it would benefit you to pay for a service that would give you back more time? Sometime’s the trade off is worth it! Bust a move to make a move! It’s amazing what music can do to give you an energy boost! Put in your ear buds or air buds, crank up your favorite tunes, and see what happens. Music is a great way to get motivated. 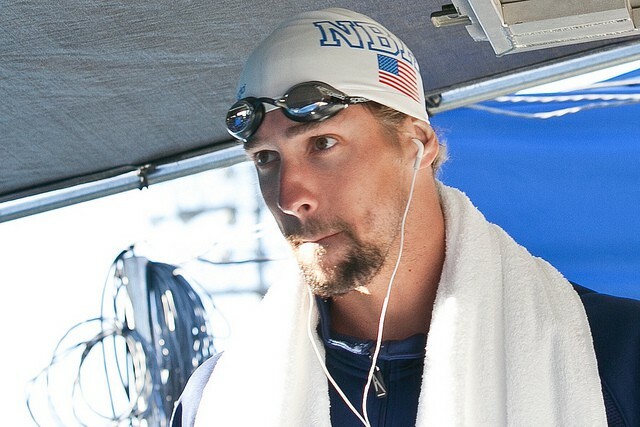 Many athletes are known to have a favorite playlist that they listen to right before a race or competition. On the opposite side of busting a move, are you getting enough sleep? Most adults need between 7-9 hours of sleep. Although that time varies from person to person, sleep is very important for overall health & healing. Speaking of Alexa, she can do some pretty cool stuff to help with productivity. When I run out of something, I’ll tell her to start a list called “grocery store.” I then tell her what to add to the list at random times and it goes straight to my phone to access at the store. I also use Alexa to set timers and it works well with productivity tip #10 below. If you can think of any ways to let Alexa “work” like a virtual assistant, then using technology becomes a great timesaving tool! Less is more and simple is a sanity saver! It’s not cutting corners if the job gets done. Make your home and routines work for you instead of the other way around. Many organizers promote these labeled hanging cubes that help make the morning easier to get kids ready for school. Um, why are those usually only promoted for kids? Take a peek in my closet! I do not want to wake up to a “what do I wear” dilemma every day, so I don’t. Putting these systems in place becomes part of the routine instead of something that constantly requires time and energy. Do you know you need to pay bills but stare at the mountain of papers and just don’t want to tackle it? Automating gives you time back! Let technology help you put systems on auto pilot. You can pay bills, do your shopping , make deposits, get reminders and all kinds of timesaving tasks. Meal planning? To do lists? Budgeting? Chances are there’s an app for that! Five minutes of focus on a task adds up over time. Just taking 5 minutes to tackle a task, even if it’s just a start, is better than not starting at all. If a project feels too overwhelming and you are running on fumes, then just give it five focused minutes of your time. Eventually that time will add up and your project will be complete! Hope you found some of these tips to be helpful! When all else fails… coffee!?! We all go through times of feeling unproductive and in need of an energy boost. Feel free to leave other ideas for productivity when you have no energy in the comments!